Installing gutters correctly will protect your property and avoid rainwater run-off into your foundation, landscaping, steps and walkways. 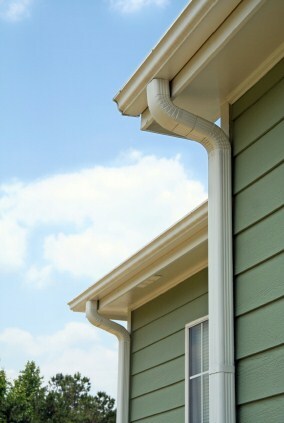 Bolechowski Construction LLC can install gutters and downspouts flawlessly to ensure that rainwater drains properly without damaging your home or landscape. We have experience installing and repairing both vinyl gutters and metal gutters, so don’t hesitate to call Bolechowski Construction LLC to install the gutters of your choice. It’s inevitable that leaves and debris will build-up in your gutters over time. Clogged gutters will often lead to bigger drainage problems. Nobody likes the messy work of cleaning gutters. Let Bolechowski Construction LLC handle the job with our capable crew and you could be assured that your gutter cleaning will be done safely and quickly. You’ll be amazed how thoroughly we clean gutters. If repairing gutters is what you need done, our crew could be there for you with ladders in hand! Whatever the issue may be…cracked gutters, loose gutters or sagging gutters, Bolechowski Construction LLC could fix the problem, often in one day’s time. You can rely on us for any gutter repair job and know that you’ll get quality workmanship.